Wilimovsky, Norman J.. "Sculpin". The Canadian Encyclopedia, 31 July 2018, Historica Canada. 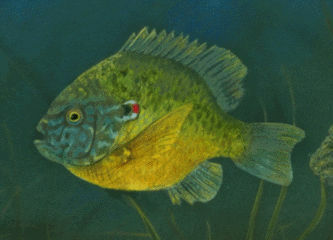 https://www.thecanadianencyclopedia.ca/en/article/sculpin. Accessed 22 April 2019. Sculpin, one of many common names given to the fish family Cottidae and its close relatives. Sculpin, one of many common names given to the fish family Cottidae and its close relatives. The group, comprising over 300 species, is one of the dominant faunal components of the north Pacific Ocean, where it is believed to have evolved. Sculpins also occur in the Arctic and north Atlantic oceans; a few have penetrated to the southwest Pacific, South American and southern African waters. Freshwater forms occur in temperate and arctic waters of North America, Europe and Asia. 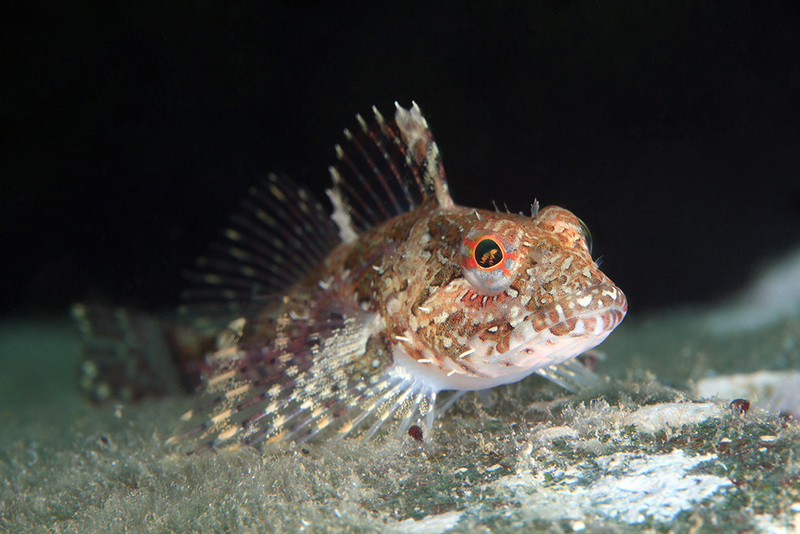 Marine sculpins are found from intertidal waters to depths of several hundred metres; most inhabit relatively shallow waters (100 m or less). Freshwater forms generally live in shallow water. 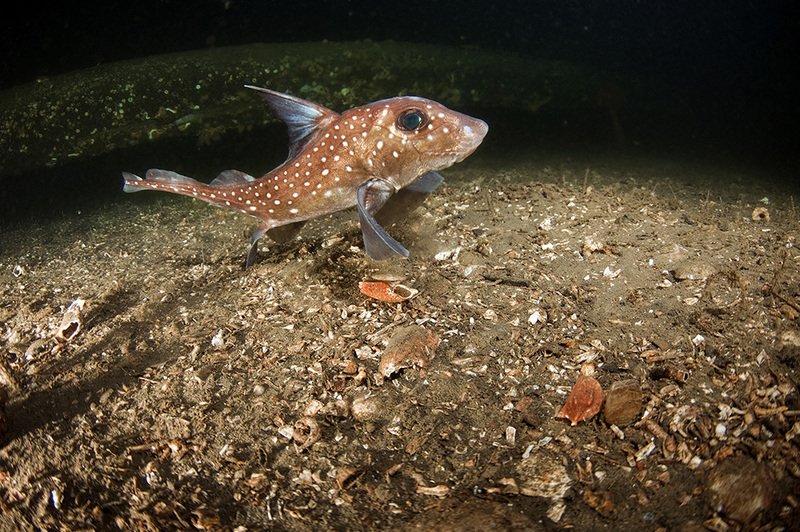 Most sculpins are bottom living; a few occupy pelagic or mid-water habitats. About 63 species occur in Canadian waters, mostly on the west coast; a few in rivers and lakes throughout the country. Sculpins and related families (eg, stonefish, scorpionfish) are characterized by a bony stay extending from below the eye to the cheekbone. This brace, often armoured with spines, gave rise to the name "mail-cheeked fishes." Sculpins are generally small (5-20 cm), although some species approach 100 cm. Sculpins are generally scaleless; a few groups have a narrow band of scales down the upper back. Others exhibit platelike structures on the body; still others have extensive patches of small cirri covering the skin, giving them a furry appearance. Spines and other "armour" on head and body make them spectacular objects. Sculpins are found singly or in small groups, although "schooling" has been reported in at least one species. Some intertidal forms exhibit restricted ranges and "home" to their resident pool. Reproduction in sculpins varies. Most species exhibit external fertilization, laying eggs in masses or clumps under or among rocks. Other species show internal fertilization or bear live young. Sculpins, important as food for other fishes, are not generally eaten by humans.